My name is Margit and I am an authorised Civil Marriage Celebrant servicing Sunshine Coast and the surrounding area. My passion lies with smaller and intimate ceremonies – the low key, friendly and relaxed version. Apart from the very minimal legal requirements for wedding ceremonies, you can be as creative as you like and I am happy to fly with you! 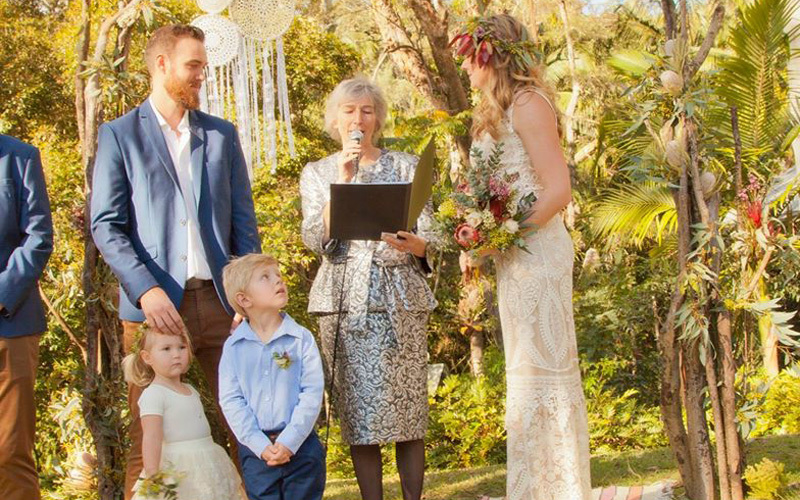 If you are looking for a friendly, relaxed and professional celebrant in Sunshine Coast, please give me a call on 0410 030 870 or alternatively fill out the contact form. Looking forward to hearing from you!